Tickets are $22.00 advance, $24.00 day-of online, $28.00 at door (add fees if paying with credit). Seating is limited, "General Admission" and is first come first serve. Shorty was born in Houston but grew up mainly in Kissimmee, Florida, where he began playing the guitar at an early age and began leading a band not long after. During his time in Tampa Bay, Florida, at age 16 he received his nickname, Guitar Shorty, when it mysteriously showed up on the marquee of the club he was playing as 'The Walter Johnson Band featuring Guitar Shorty.' He steadily began to garner accolades from his peers and, soon after, he joined the Ray Charles Band for a year. He recorded his first single in 1957, "You Don't Treat Me Right", for the Cobra label under the direction of Willie Dixon after Dixon saw him playing with the Walter Johnson Orchestra. Eventually, he joined Guitar Slim's band and move to New Orleans, Louisiana. Slim inspired Shorty to incorporate more showmanship into his live performance style. Before long, Shorty was doing somersaults and flips on stage. 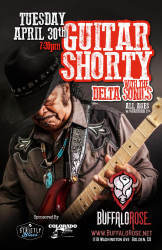 While in New Orleans, Shorty also fronted his own band which played regularly at the Dew Drop Inn where he was joined by special guests such as T-Bone Walker, Big Joe Turner and Little Richard. Not one to stay in one place long, Shorty next moved to the West Coast at 19 in order to play with Sam Cooke. He played up and down the west coast and Canada until he met his future wife, Marcia, in Seattle, Washington. Marcia was the half-sister of Jimi Hendrix. Jimi was so enthralled with Shorty’s playing, he went AWOL several times from his Army base to see him perform. 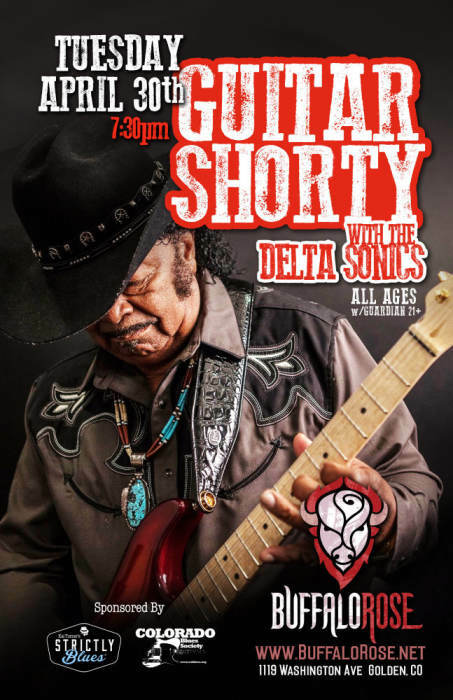 Jimi Hendrix often referenced him as being one of his main influences, saying that Guitar Shorty was the first person he saw using a wah pedal. Guitar Shorty let Hendrix borrow one of his wah pedals until he could afford his own, and the resulting sound became world-famous as a part of Hendrix's groundbreaking signature guitar tone. 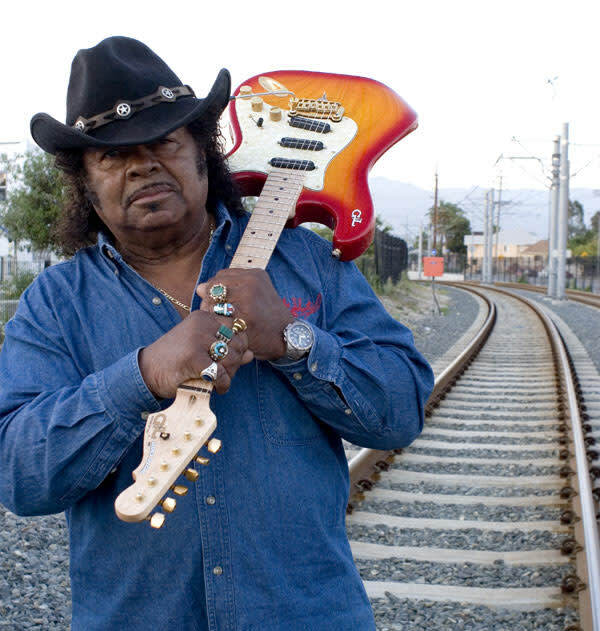 Guitar Shorty recalls during an interview, "He told me the reason he started setting his guitar on fire was because he couldn’t do the back flips like I did.” As Shorty’s popularity grew, he recorded three singles for the Los Angeles-based Pull Records label in 1959. Shorty gigged steadily through the late 1950s and 1960s. During the 1970s he worked as a mechanic, playing music at nights and on weekends. He again became a full-time musician in 1975, struggling at times to make ends meet. In 1976 he made an appearance on Chuck Barris' Gong Show, winning first prize for performing the song "They Call Me Guitar Shorty" while balanced on his head. In 1985, he released his first album On the Rampage on Olive Branch Records. He went on his first tour to the UK in 1991, and there he recorded “My Way or the Highway” with Otis Grand which came out on JSP Records that year. This won him a W.C. Handy Award and garnering him interest from labels in the United States. Shorty soon got a record deal with New Orleans-based Black Top Records. Topsy Turvy, his first on Black Top, came out in 1993. The album featured some fresh new songs as well as remakes of three classic numbers from his Pull days back in 1959. He released two more albums on Black Top in the 1990s. When Black Top folded in 1999, Shorty moved to Evidence Music, and released I Go Wild! in 2001. In 2002, he was featured on the Bo Diddley tribute album Hey Bo Diddley - A Tribute!, performing the song "Don't Let It Go (Hold On To What You Got)". He joined Alligator Records in 2004. His album that year, Watch Your Back and his 2006 album We the People both charted on the Billboard Top Blues Albums at numbers eleven and twelve, respectively. Billboard said of We The People, "it’s difficult to imagine that he ever tracks a better album than this one." A new Alligator Records CD, Bare Knuckle, was released in March 2010. He was then based out of Harlingen, Texas. In 2012, Shorty moved back to Los Angeles, where he presently lives. Guitar Shorty's guitar is named Red. He is currently touring more than 75% of the year in the United States and around the world, including 2015 dates in Europe and Brazil. 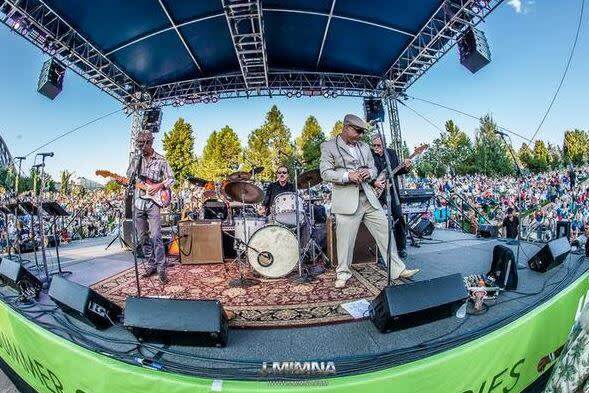 His current band members include Danny Gerass on drums, Crazy Tomes on bass, Malcolm Lukens on keyboards, and Mark Burgess on second guitar. Krystal Khali, the first and only female to ever be in one of his bands, was added in 2014 for select dates on second guitar. Another blues musician, John Henry Fortescue (1923 – 1976) on Trix Records was also named Guitar Shorty.